Give me an “A”! 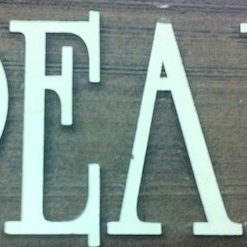 No, make it an “E”! Sometimes, my work involves not the entire creation of a new piece, but working with a previously crafted piece. It might be a repair or renovation of some sort. This particular project was quite unusal, in that the client needed a previously crafted sandblasted sign’s lettering changed. She loved the sign, but it didn’t make sense anymore. The sign read “Piper’s Peak”. The Pipers used to live on a mountain, so “Peak” mad sense. Well, the moved, and the sign didn’t make sense…but she love the sign, and asked if I could change it. “Sure” I said….not even knowing how…. So here is the sign. Basically, it’s made out of cedar, I believe. The creator used a metal template for the non-brown parts, and sand-blasted away the rest. “We no longer live on a mountain (“peak”), but still love the sign. 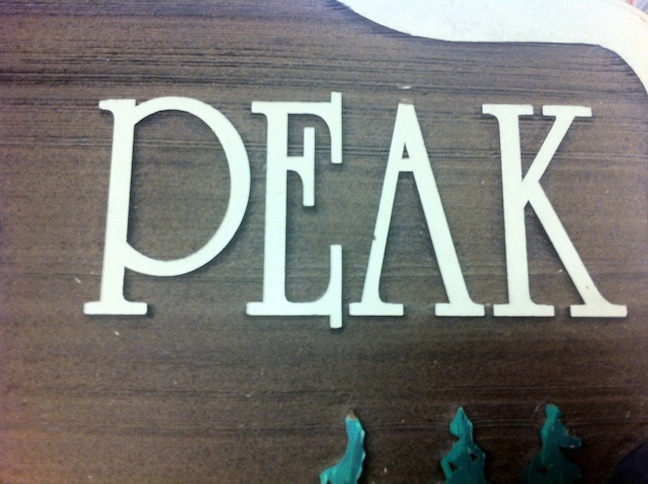 Can you erase the “A” in Peak, and make it an “E” instead”? How to do it? 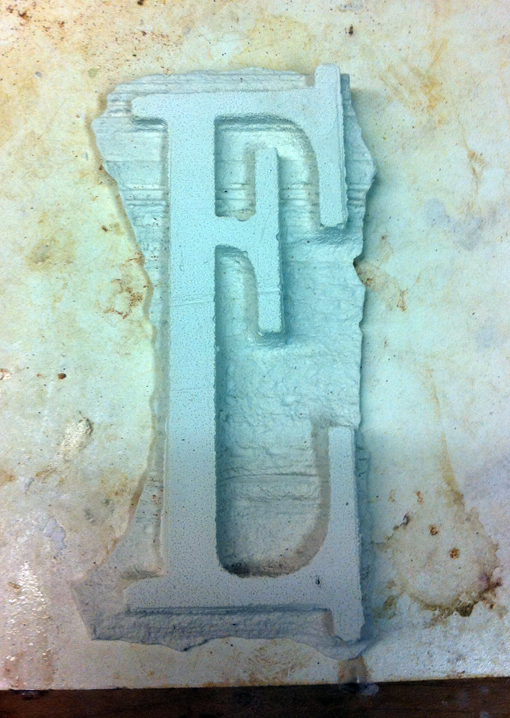 Make a copy of an existing “E” and replicate it in a plaster type material. Here’s the casting material I used. 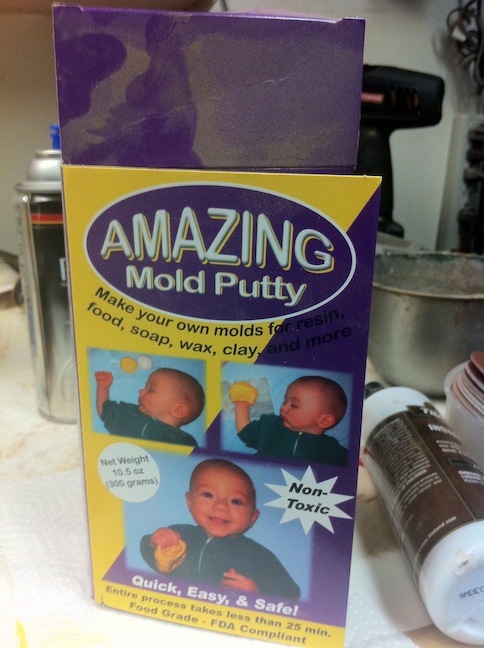 Basically, it’s a two part putty that cures to a fairly hard rubber mold. 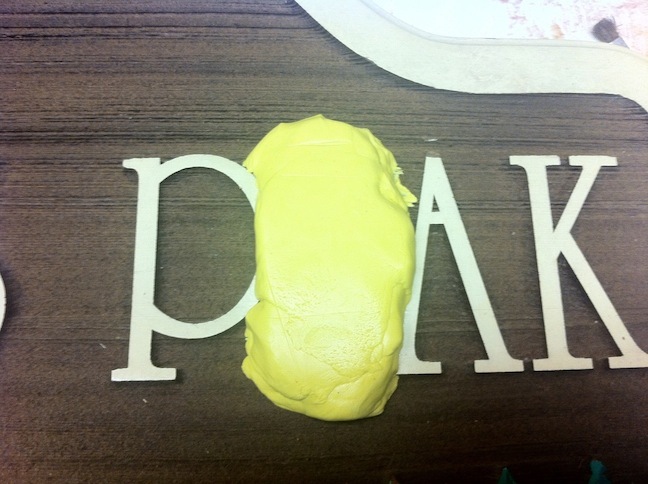 Take equal parts of putty, and mix it thoroughly, quickly apply to a good E; it’s nice I had one right next to the letter to erase, since there would be continuity of the background. Applied it to the good letter, waited 30 minutes, gently peel off. No residue, and didn’t pick up any wood. The porcelain/bisque material is called Permastone. Basically, it’s a powder, and you add enough water to make a thick cream. Set’s in about 30 minutes. Problem was, I was never going to get an exact match on either the background (dark brown) or the the lettering (a pale yellow). So, I ended up just stainging the whole background, and repainting the letters and border with a close match outdoor paint. The results look pretty darn good! She loved it!